NATIONAL NEWS - Jaco Ahlers pulled off a tense sudden-death play-off victory over Ross McGowan to clinch the Cape Town Open at Royal Cape Golf Club on Sunday. 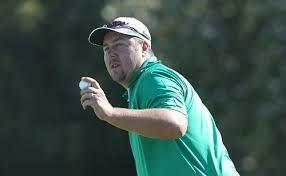 Ahlers bagged the R1.5 million prize money after taking five trips up the 18th hole to be crowned champion. An elated Ahlers said he would cherish the victory for his entire career. "I can't describe how happy I am right now. I've come so close so many times in the last five years," Ahler said. about 40 years old. But it's a happy 40 years"
Hennie Otto was also in the play-off, but he made bogey on the first play-off hole to fall out of contention. McGowen missed from close range on the fourth hole to relinquish the title to Ahlers. Ahlers from Centurion, Pretoria booked the last spot in next week's Nedbank Golf Challenge. "I have to give Ross and Hennie credit, though. We all got into the play-off because we played great golf, but I'm sorry boys; I'm going to enjoy this one." Ahlers and McGowan duelled for the honours, after both carding four-under-par 68 in regulation play. Jbe' Kruger's superb seven-under-par 65 was better on the day after he got away early enough to take advantage of a glorious start to the day. In the end, Otto paid the price for a scuffed putter that frustrated him as it sealed his fate. In joint fourth place was Kruger and Thomas Aiken, who fell one shot back from the lead.